We are only a short way into 2016, but already many Australians around the country are reconsidering their career options. Perhaps 2015 wasn't the greatest year for your career journey, or you made a promise to yourself to follow your passion and make some career changes on New Year's Eve. If these scenarios sound familiar, then look no further than a career in fitness in 2016. Ibis World reports that there are more than 20,000 people and 3,000 businesses dedicated to the fitness industry at present. Both these figures continue to increase, while the number of Australians who take part in fitness activities also rapidly rises – topping 4 million in recent times. To meet this demand, Australia is on the lookout for a new wave of personal trainers. Will you take up the challenge? The rise in popularity of personal traniers can be due to a few reasons. Firstly, more Australians want to get active and spend time with their friends and family in our beautiful country. Secondly, Australia is in the midst of an obesity epidemic, with statistics suggesting that close to two-thirds (63.5 per cent) of the population are either overweight or obese. And finally, with so much emphasis placed on the benefits of exercise over the past decade more and more people now understand the benefits of regular exercise and are enlisting the services of a professional to help them achieve their goals. Helping clients change their lives for the greater good is one of the most significant benefits of becoming a personal trainer, but it isn't the only reason. In a fitness career, you can be your own boss – you set your workday times, you set your pay and you plan your holidays. Working hard to achieve this flexibility promotes a great work/life balance which ensures that you wake up every day to a career you care about and want to excel in. Additionally, it is important to remember the potential added bonus of becoming a personal trainer – improved personal health. If you are sick of sitting in an office chair that does nothing for your back support, consider that a thing of the past. By understanding training programs and participating with your clients, you keep yourself fit and healthy without even thinking about it. According to PayScale, personal trainers can also attract a healthy hourly rate upwards of $60. Of course, the more experience you gain and clients that you work with, the higher your annual earnings will be. How do I know if I'd be a good personal trainer? The fitness industry certainly doesn't discriminate when it comes to personal trainers. While you will need to obtain SIS30313 & SIS401210 Certificate III & IV in Fitness, almost anyone can be embark on a career in fitness. To be a good personal trainer, we believe the best are those that have a genuine passion for health and fitness and helping others to achieve their health goals (whatever they may be). While this doesn't mean you have to look the part, health and fitness must play a positive role in your life. In fact, if you can translate this passion into helping others and understanding compassion through motivation – your clients and customers will continue to work with you time and time again. 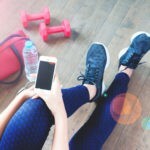 Of course, becoming a personal trainer is very social as you will meet a wide range of different people while helping them achieve their goals. As such, you should be comfortable interacting with those of various ages, from various backgrounds, genders and ethnicities. By choosing to pursue a career in the fitness industry, you are making a positive step on your career journey. To ensure you have the qualifications to join the sector, Australian Fitness Academy is ready and waiting to help. For over the past 20 years, we have been committed to delivering the best fitness education possible in Australia. Regardless of whether you are 16 or 60, you are more than welcome to explore our possible courses. In fact, students can even take their chosen course from the comfort of their own home, meaning a career in fitness has never been easier to obtain. Given the highly-regarded nature of fitness courses, a certificate from Australian Fitness Academy opens up a massive world of opportunity. Whether this is working with athletes in the gym, helping new mums in their home or setting up your own business, you can work around the globe in the universal industry of fitness. In fact, we have strong links to the health and fitness industry with employers constantly searching for their next great talent. Could this be you in the future? It is not too late to move into your dream job as a fitness trainer in 2016. With government funding available to eligible students, the Australian Fitness Academy offers high-quality qualifications at a reasonable fee. Our resources are unrivalled and we are constantly the benchmark in the national fitness industry. If you are interested in learning more about our fitness courses or want to sign up today, get in touch with us on 1300 232 348.